NASA says the "1st humans to step on Mars are alive today." Although there are still plenty of people who remember when man first walked on the Moon, it won’t be long until humans are walking on Mars. According to NASA, humans will step foot on Mars in the very near future. A recent Twitter post by the U.S. space agency noted that the “1st humans to step on Mars are alive today.” It used the hashtag #NextGiantLeap, which has a lot of interesting photos and info about NASA’s Path to Mars project. Essentially, Path to Mars is exactly what it sounds like – creating a path for humans to get from Earth to Mars. 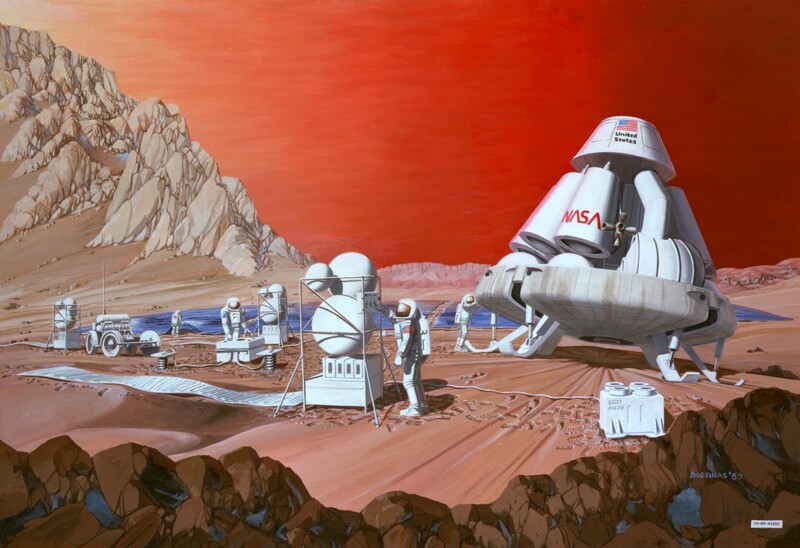 NASA plans to send humans to Mars sometime in the 2030’s. “To help this nation send humans to deep space and return them to Earth safely, engineers across the country are developing a new space transportation capability, destined to travel far beyond our home planet,” NASA said. The plan honestly sounds like something out of a science fiction film. It can be mind-boggling to think that our Moon will have a little mini-moon in just 6 to 11 years, if everything goes according to plan. Apparently, exploring the asteroid will make astronauts more ready to explore Mars in the next several years after that. Maybe you know the first person who will set foot on Mars. Maybe he or she is your best friend, sibling, or neighbor. Who knows! But stay up to date with NASA’s Mars project by following them here on Twitter.